Catholics have always enjoyed beautiful churches and St. Edward’s is no exception. It has been called the most beautiful church in Idaho. 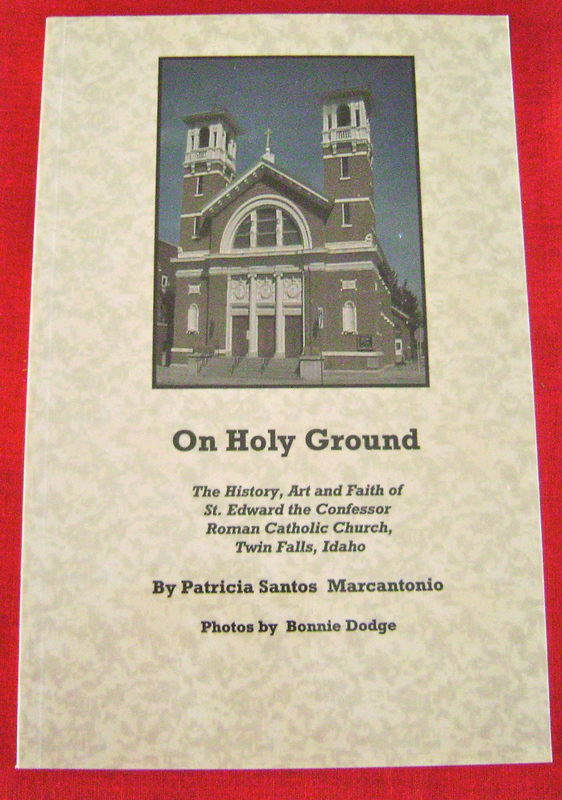 Award winning author Marcantonio celebrates its beauty, history, art and faith through the words of the parishioners, priests and visitors to the church. She details the stained glass windows, angels, bells, pillars, cornices. ceilings and all the other architectural details that went into creating the beauty of the structure which helps sustain the faith of the people who call St. Edward’s home. Twin Falls came into being with the coming of irrigation water in 1904. Early Catholics met in various places around town. The Twin Falls Canal Company donated land at the corner of Second Avenue and Fifth Street and ground was broken on the church building in 1920. The St. Edward Catholic Church building was completed and consecrated in 1921. Marcantonio interweaves the history of St. Edward’s building and congregation with the history of the city from the beginning to the present. The book contains 112 pages. Photos by Bonnie Dodge. Price: $11.00 plus $4 shipping and handling. Contact Patricia here to order.